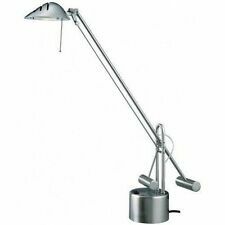 Waterford Renmore Accent Lamp 19"
1 X Swing Arm Table Lamp (the bulb not included). Modern and sophisticated black swing arm design. The lamp itself takes up to a 40 watt bulb (not included). Body Color: Black. Trending at C $18.04eBay determines this price through a machine-learned model of the product's sale prices within the last 90 days. Used:LED chip. 1pcs 90 40mm led heatsink. Material: Aluminum. Portable T6 LED Headlamp Headlight Flashlight Head Lamp LED Fishing Torch Light. 50000LM LED Baseball Tactical Flashlight Self-defense 3 Mode Police Patrol Torch. 8000LM Mace Bat Led L2 18650 Tactical Flashlight Toothed Spiked Torch Light. Negative ions can also neutralize static electricity, effectively reducing the electrostatic pollution in the air. -Electrostatic induction，the light will focus where your fingers are. Magic Lightning Ball Plasma Ball Static Ball Touch Sensor Lamp. Automatically color changing mode. Press the touch button to last color, then press it again, auto color changing mode works. Press it thirdly, another color light up. 1.7 Color change: Red, Green, Blue, Yellow, Cya n, P urple, White. Features: Save electricity, protect the environment. Insulation materials are made of environmental protection PVC, which is more durable and environmentally friendly. Specification Type: Salt Lamp Dimmer Cable Material:PVC,ABS,PET,PC Color:Black Quantity:1pc Interface type: E12 Resistance: 0. Features: 1. Folding and adjustable design, convenient to use , easy to carry. 2. Built-in 600mAH rechargeable battery 3. 17 LED give bright and soft light without flash, good to protect your eyes. 4. Energy saving, high brightness and environmental friendly. 5. Two levels of the lamp: weak light and strong light, choose one mode as you need 6. 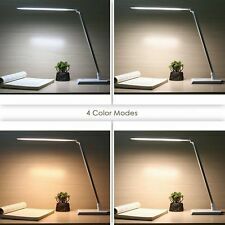 Suitable for home,office,dorm,camping,computer lamp,emergency lighting . USB charging port. No flicker, protect your vision. LED Quantity: 14LED. Light source: cold light. Due to the different display and different light, the picture may not show the actual color of the item. 1 x USB Recharging Cable (without adaptor plug). 1 x Desk Lamp. Color Temperature: 5500k-6000k (3 modes brightness dimming). USB charging port. 3 modes brightness dimming. LED Quantity: 14LED. Light Source: Cold Light. Reverse Current (IR): 25mA. Color Correlated Temperature (CCT) 1, We support our products. ( If slow, you can also receive. Junctio Tnemperature (Tj ): 135°C. for 10secs. ). The base produces high frequency electromagnetic waves that cause the gases to turn into plasma. This product contains glass, which may cause injury if broken. 1 x USB Plasma light Ball. Clap hands to it and watch the pattern of the sound reflected in its striking pulsations. Working temp.0~40. Output Current: 600MA<±5%. 2-3x3W Driver. Driving power: 2-3X3w. 1, We support our products. If errors are caused by the. ( If slow, you can also receive. Effciency:88≥%. ). (Modern Creativity 3D Art Glass Ceiling Light chandelier Pendant Bar Cafe Lamp. 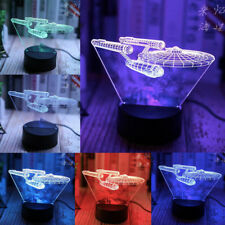 3) Dazzle up your desk or table with this starburst LED lamp. Power Source: USB. Material: Glass Wooden Base. 2) Made of glass material, clear, noticeable everywhere. Included: 1 x Desk Lamp. 3 modes brightness dimming. Color temperature: 5500k-6000k (3 modes brightness dimming). No flicker, protect your vision. USB charging port. LED Quantity: 14LED. Light source: cold light. Trending at C $10.51eBay determines this price through a machine-learned model of the product's sale prices within the last 90 days. Circuit board, carbon fiber, composite board, and so on. 1 x 0.1mm drill bits. 1 x 0.2mm drill bits. 1 x 0.3mm drill bits. 1 x 0.4mm drill bits. 1 x 0.5mm drill bits. 1 x 0.6mm drill bits. 1 x 0.7mm drill bits. 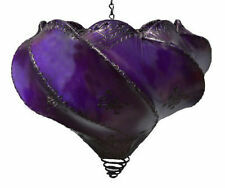 It could create romantic atmosphere, perfect decoration for living room, bedroom, etc. Romantic atmosphere. 1 Fiber optic light. Light mode: Colorful gradient steady bright. Material: Fiber ABS. Pattern: Five roses. Fit for high power Led 20W, 30w，50W and 100W. Heatsink size: approx.85mm 25mm (D H). Can better reduce wind drag, greatly improve the heat dissipation area. 1pc x aluminum heat sink fan. Fan rotating speed: 2200 10% RPM. Order bin: 3W 850nm. Color: infared (850nm). Order quantity: 10pcs. AC 110-240V 12V 10A 120W 142 58 38. 2W/m=30m, So, support the LED strip (60 LEDs/m, 0.2W/LED) length (Max) = 30M LED Strip(60LEDs/m, 0.2W/LED)Length (Max)=30M. Input V Output V Output Current Output Power Length(mm) Width(mm) Height(mm). 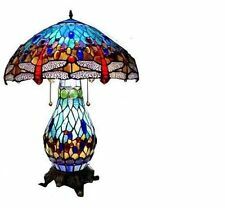 Tiffany Style Double Butterfly Stained Glass Night Light Lamp - 17" x 10"
VTG Tiffany-Style Lead Stained Glass Lamp Shade Light- Amber Cream Red 11 x 7"
How you feel in your home can be dramatically impacted by its lighting, but the wide range of lamps available can make the task of choosing one feel intimidating. Do you choose glass or metal, antique or contemporary? Whether you are looking for a practical desk lamp, an antique table lamp, or a flamboyant floor lamp to set off your home's unique decor, you can find what you are looking for by keeping a few things in mind. What designs do lamps come in? Floor, table, desk, and hanging lamps offer light at multiple levels, and come in many designs. Antique lamps of varying heights lend light as well as classic elegance to a room when paired with stained glass shades. Contemporary colour blocking adds an art deco touch to a desk lamp. A rustic table lamp with a leather-trimmed shade fits perfectly in a room with a western theme while providing soft light. 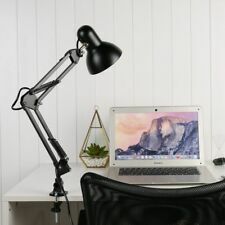 A polished nickel gooseneck lamp paired with a matching floor lamp adds bright light and sleek style to an office. Table lamps with shades decorated with cartoon characters and toy-related elements add fun to a child's bedroom. Contemporary table lamps with brightly coloured ceramic bases and white shades are easily coordinated with multiple decor palettes. Table lamps with traditional brass bases paired with neutral coloured shades match almost any room's theme. Hanging wood and paper lamps add appeal to rooms with oriental decor. 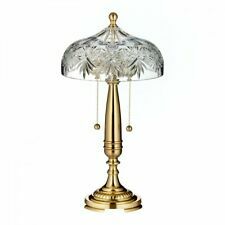 Antique table lamps with clear or coloured glass bases and white shades are understated but stylish. What materials are lamps made of? Lamps containing ballasts are dimmable down to about 15% of their light capacity. 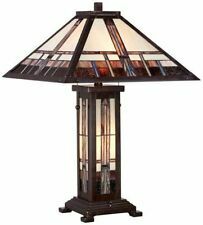 Dimmable lamps come in floor, table, and hanging styles and can be dimmed using switches, knobs, or touch. Check the product information for bulb type required. How to use lamps in the home? Opt for a combination of floor, hanging, and table lamps. 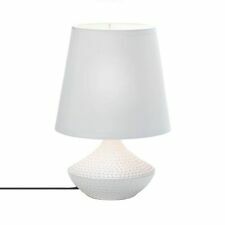 Try mixing lamp bases and matching their shades for a different, but unified, look. Choose the shade design and height to ensure the right lighting for the intended area. Decide on the lamp size that will work for you. 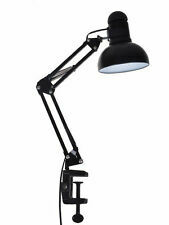 Pick adjustable desk lamps that accommodate several positions for increased lighting ability. Select the proper bulb for the lamp you choose. Taking into account the broad range of styles, materials, and versatility of lamps available will help you choose the right lighting for your home.